Redshirt freshman Colin Brophy swings at a pitch during a baseball game against North Carolina Central Friday. Baseball gave up a two-run home run to North Carolina Central in the first inning of Sunday’s home game, falling behind on the scoreboard for the first time in 16 innings. In nine of GW’s 12 losses, the Colonials (19-12, 5-1 A-10) have trailed in the opening three innings. But in the final contest in the series against the Eagles their offense took over, which has consistently happened for more than three weeks, to comeback and topple the visitors behind 19 hits and 19 runs – their highest marks of the season. GW’s Atlantic 10-best lineup has helped the squad win 12 of its last 13 games – the program’s best 13-game stretch since 2004 – and move up to second place in the conference. As winners of their last four series, the Colonials have piled runs on their opponents, scoring eight or more runs in eight of their last nine contests and using extra base hits to spark game-changing innings. The weekend matchup – which the Colonials took 19–7 – closed out GW’s final non-conference series with the team’s second consecutive series sweep. They defeated North Carolina Central in two games Friday, including their lowest-scoring game in almost a month. GW only crossed the plate once in Friday’s second game, the team’s sole blip in its dominant offensive streak. But head coach Gregg Ritchie said he is not concerned after the one-run affair because the scoreboard reflected the nature of doubleheaders more than his lineup’s skill. Still, as a team, GW leads the A-10 in hits, runs, batting average and slugging percentage. The Colonials – who were projected to finish sixth in the A-10 in a preseason poll – have yet to enter the middle of conference play, but after more than half of the regular season passed, they are outplaying expectations. After losing five of the team’s first six games and playing through a five-game losing streak in March, GW is on pace for 33 total wins – two more than last year and two fewer than last year’s No. 1 seed VCU. 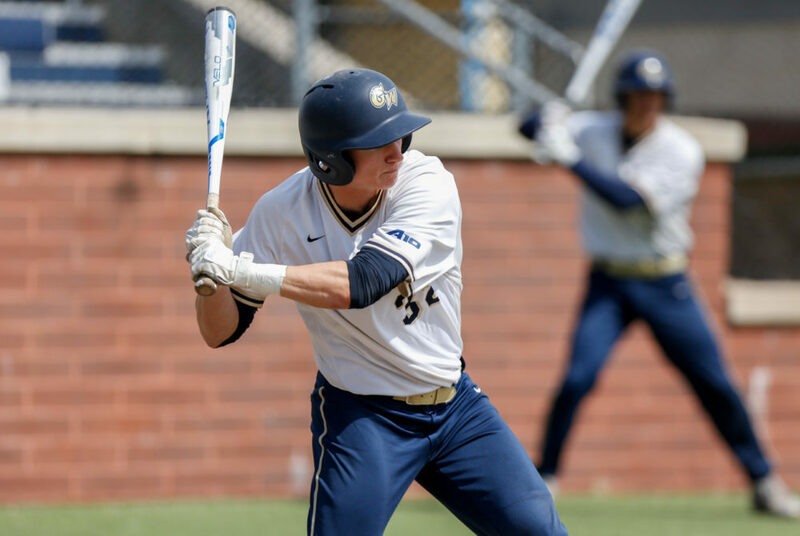 GW’s top five hitters – who usually occupy the first four spots in the lineup and the seventh spot – combined for 28 hits over the weekend, and each reached base in Sunday’s game. They are each hitting well above .300 on the season and as a group combine for 132 runs – more than five entire A-10 squads. Senior outfielder Mark Osis leads the team with a .358 batting average, and senior third baseman Isaiah Pasteur and junior utility player Dominic D’Alessandro – both new faces to the lineup – have added power to the Colonial’s roster. For his consistent play over the past few weeks, Pasteur – who is now on a 19-game hitting streak – was awarded A-10 player of the week in each of the past two weeks. When the last awards were given out last week, redshirt freshman outfielder Colin Brophy was given the A-10 Rookie of the Week award. He scored the game-winning walk-off run on a passed ball Friday afternoon. It was important to get young and less experienced players in the game in order to fill spots in the lineup that were left by GW’s sizable and successful 2017 graduating class, Ritchie said. On the defensive side of the game, the Colonials have been solid but inconsistent. They sit at sixth in the A-10 with a 3.87 earned run average. Sophomore pitcher Elliott Raimo leads the team with a 2.01 ERA and 43 strikeouts through seven starts. GW also benefits from Pasteur and junior pitcher Will Kobos out of the bullpen. Both have ERAs under 2.00 and have closed out tight contests, but the Colonials have allowed seven or more runs twice over the past two weekends. Raimo said the pitchers do not approach their outings differently, regardless of the run support.